When a customer visits your website, you have roughly ten seconds to capture their attention, so you better think carefully about what you want to include. Some websites go directly into the navigation and content of their websites on their first “index” page. Customers can surf around the site and decide if they want to buy the product or service. This is not really the wisest option available. Of course, every site does need the standard index page chock full of frequently asked questions, testimonials, order form, etc. But there is a better way to “capture” your visitors by using a squeeze. A squeeze page captures your audience with a screaming headline and brief key points about the customer’s problem and how you intend to solve it. Sometimes a squeeze page offers a free report or newsletter. Either way, all squeeze pages purpose is to retrieve the customers name and email address, or sometimes they ask the customer a burning question. So what is the point in retrieving the customer’s name and email address? Have you heard of opt-in lists? An opt-in list is gold to an internet marketer because you can send your customers information which will hopefully attract the customer back to the website to either purchase a product or service being offered. Spamming is illegal and having a great opt-in list is really necessary to any Internet marketer. You can also use your list to make money as an affiliate with another company. You can send customers an email from the site you are promoting and make profits as an affiliate. This is a great way to earn extra income indeed. Squeeze pages are sometimes the first page found on a website. Sometimes they are pop ups on the index page of a website. 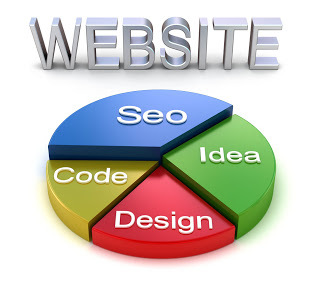 They are very crucial to any Internet marketer’s business.